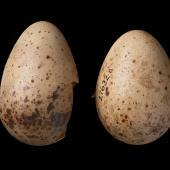 Geographical variation: Three subspecies, all extant. 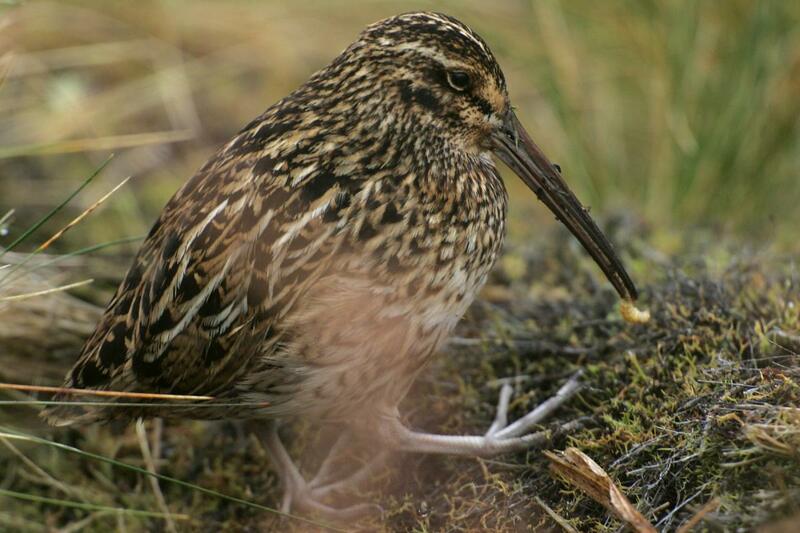 Auckland Island snipe C. a. aucklandica (At Risk/Naturally Uncommon); Antipodes Island snipe C. a. meinertzhagenae (Threatened/Nationally Endangered); Campbell Island snipe C. a. perseverance (Threatened/Nationally Vulnerable). 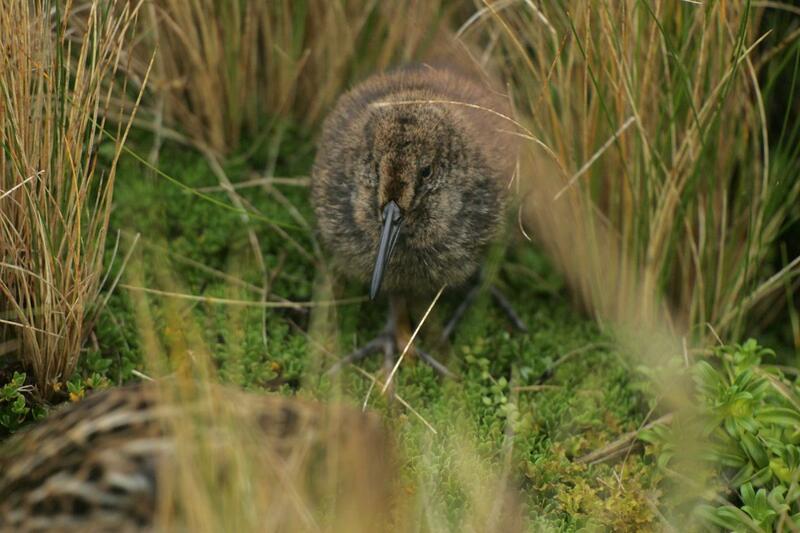 The snipes on the three southernmost New Zealand island groups are all similar in appearance and behaviour. 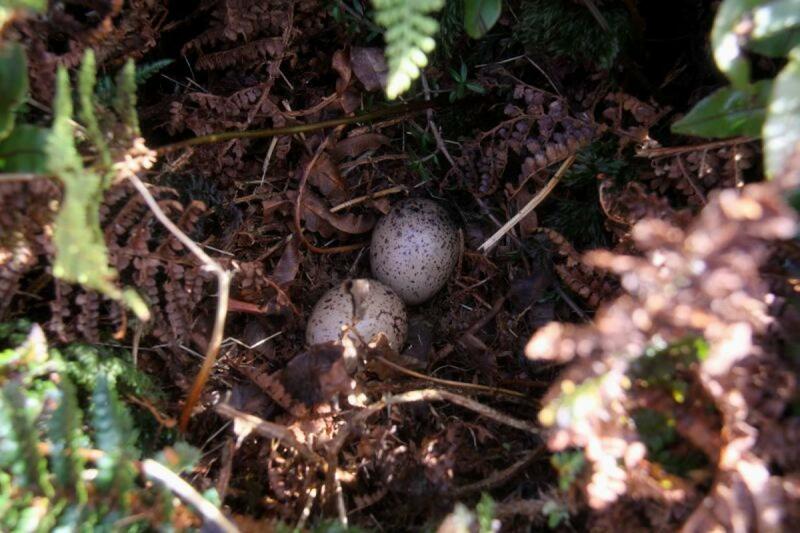 Well camouflaged and staying among dense vegetation, they are easily over-looked compared to the showy albatrosses and penguins that they share their islands with. 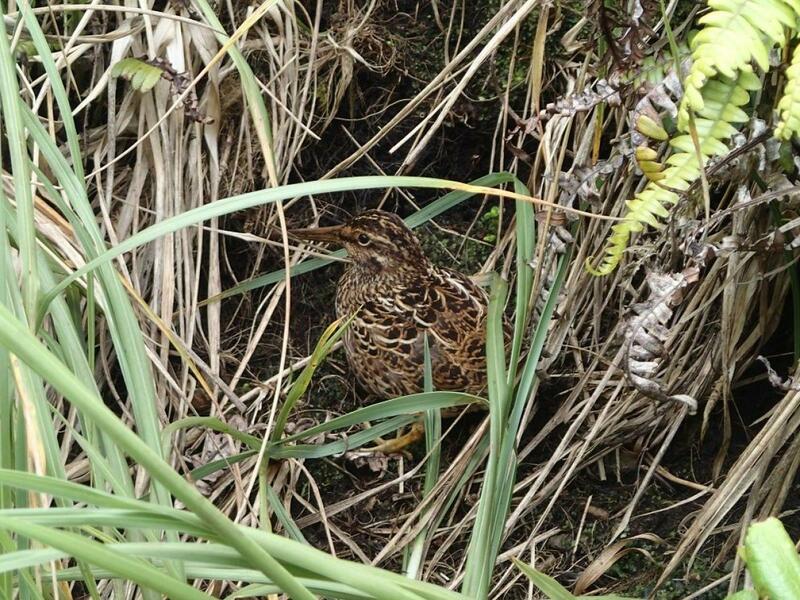 However, for discerning naturalists visiting Enderby Island (in the Auckland Islands) or Campbell Island, sighting a snipe is one of the highlights of their visit. 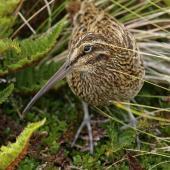 The subantarctic snipe species includes both the first New Zealand snipe to be discovered, and the most recent. 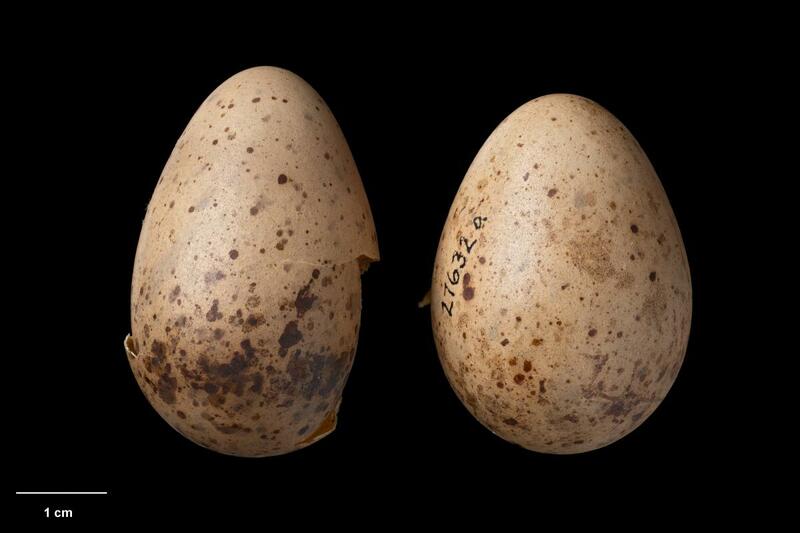 The Auckland Island subspecies was discovered on Enderby Island in November 1840 during the Erebus & Terror expedition under Captain James Clark Ross. 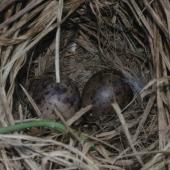 The Campbell Island subspecies was not known to exist before a chance discovery on sheer-sided 20 ha Jacquemart Island in 1997. Following the eradication of rats on Campbell Island in 2001, this critically endangered form naturally recolonised the main island, completing a remarkable story of discovery and recovery within less than a decade. 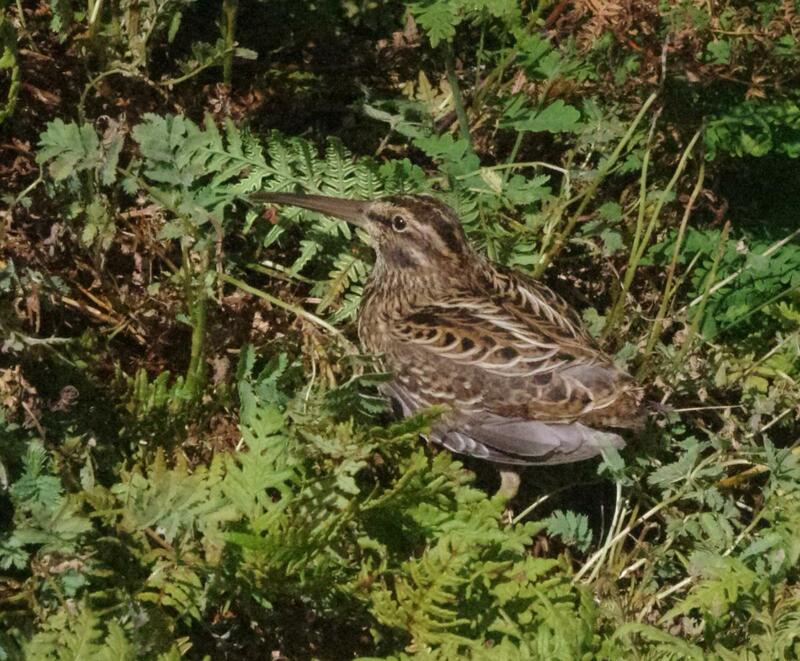 The only snipe species known from Auckland, Antipodes and Campbell Islands, although Japanese snipe is a possible vagrant. 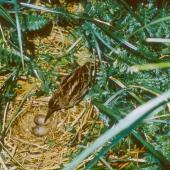 Subantarctic snipe have relatively longer bills and legs than other New Zealand snipe species. 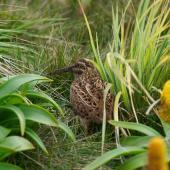 Their coloration is similar to the much smaller Chatham Island snipe, with variegated brown and blackish dorsal feathers with clear buff edges, and largely unmarked off-white belly feathers. 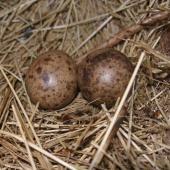 The three subspecies differ slightly in size and markings. 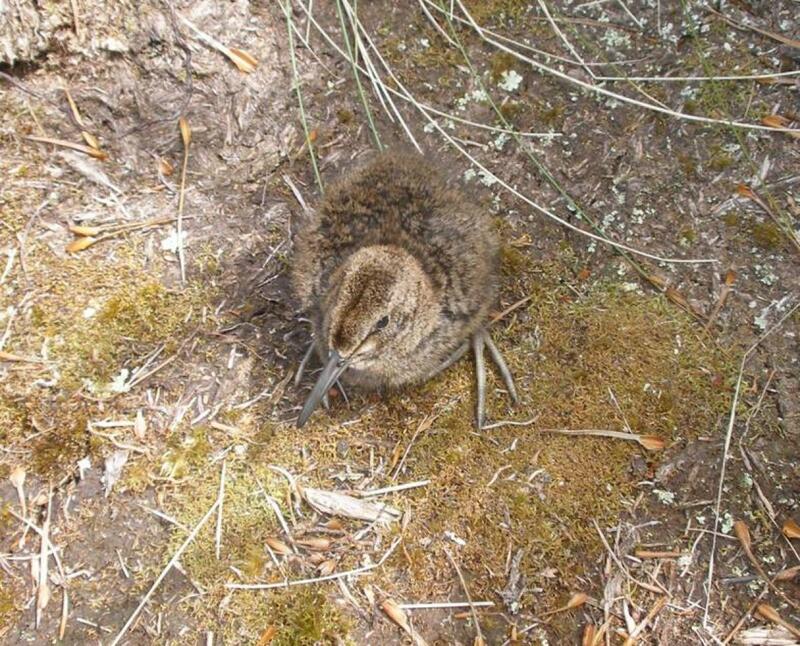 The Auckland Island snipe has by far the greatest genetic variation, and this is mirrored in the variation in their size and plumage. 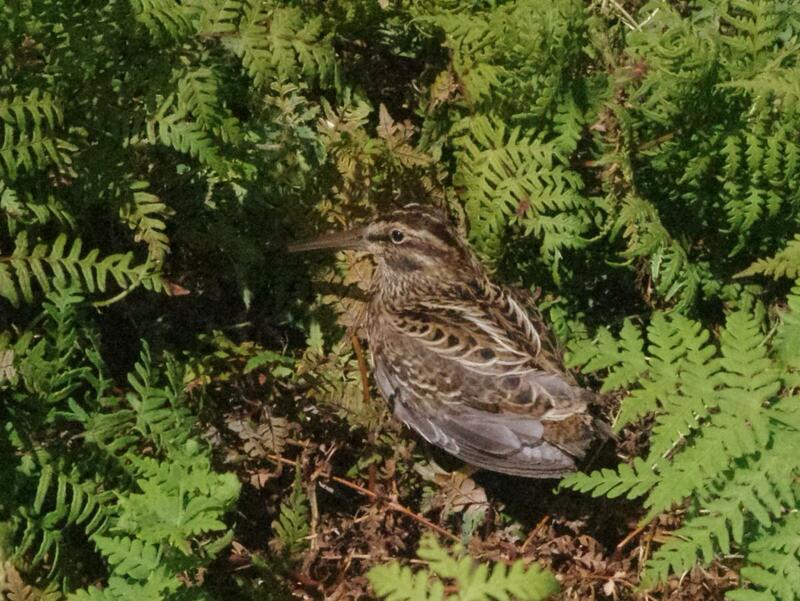 Birds from Adams Island are smaller than those from the Port Ross islands (including Enderby and Rose Islands), and some birds from all islands show more rufous dorsally, especially on the rump. 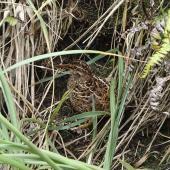 Antipodes Island snipe are darker than Auckland Island birds above, and their plumage is more yellow than all other populations, especially ventrally. 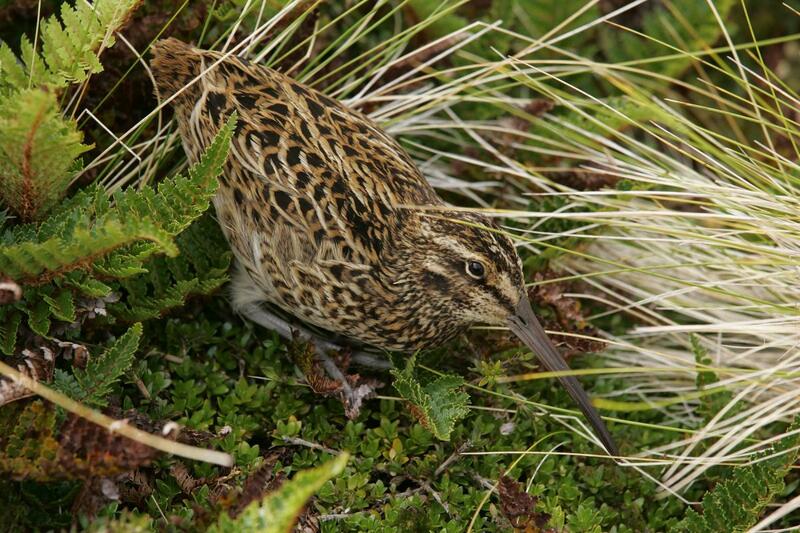 The Campbell Island snipe is the smallest subspecies. 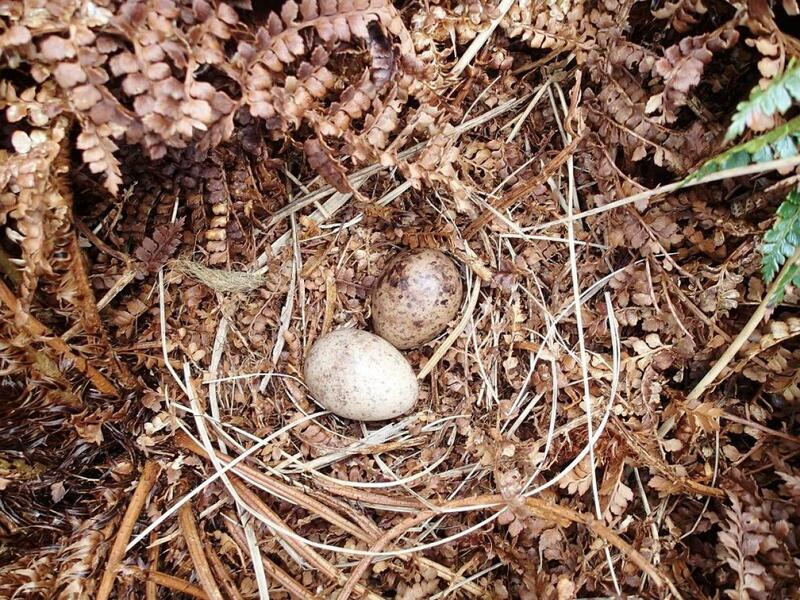 It has the darkest back feathers, and a pinkish-buff cast to the belly feathers. 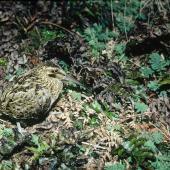 Most populations have pale yellow legs, but Antipodes Island snipe have grey legs. 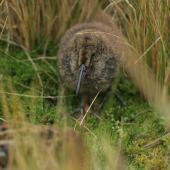 Voice: a strident ‘chup chup’ similar to other New Zealand snipes, mostly heard at night. 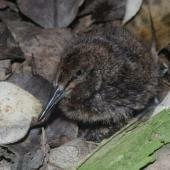 All populations perform the nocturnal hakawai aerial display (see Behaviour and ecology). 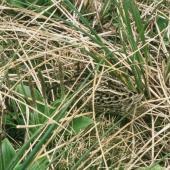 Similar species: Chatham Island snipe is much smaller with a shorter bill. 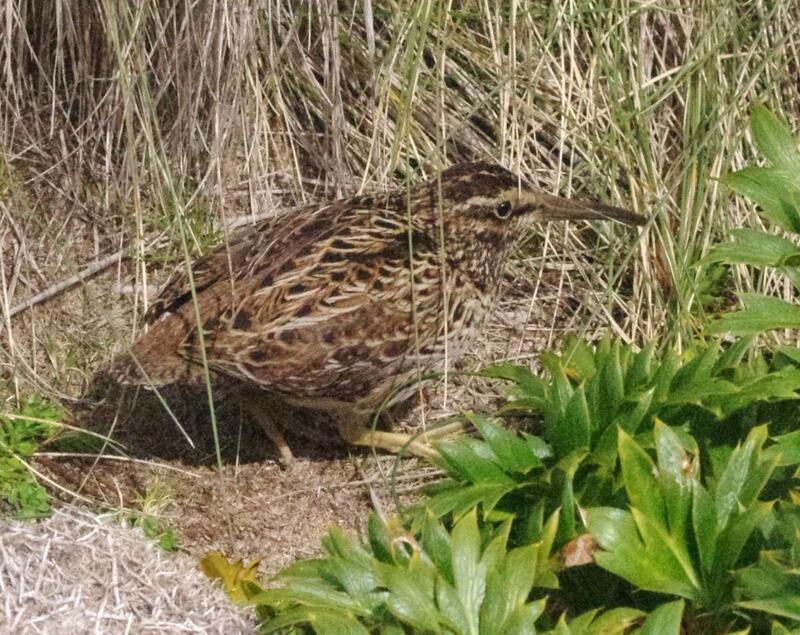 Snares Island snipe is darker overall, has a stockier build, and has barred belly feathers. 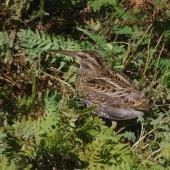 Japanese snipe is larger with longer wings and legs. Auckland Islands (Adams, Disappointment, Enderby, Ewing, Rose and Ocean Islands), Antipodes Island (Antipodes, Bollons, Archway and Inner Windward Islands, probably also Leeward Island), and Campbell Island (Campbell and Jacquemart Islands). 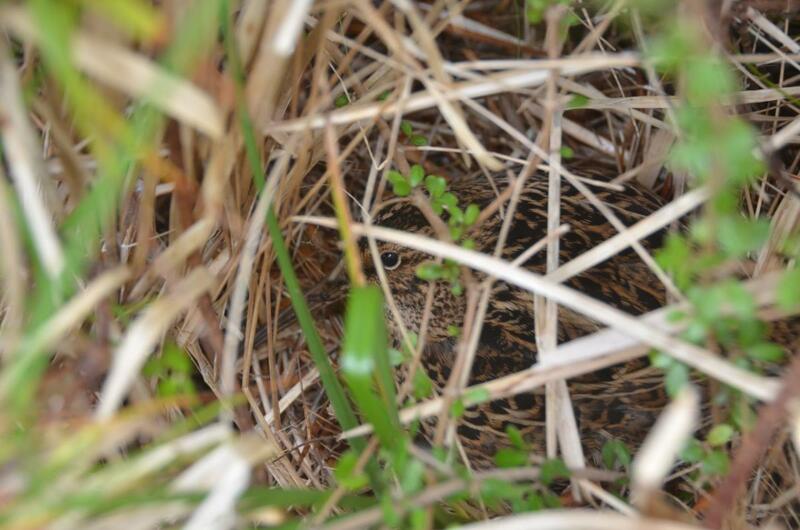 Found throughout vegetated areas, including tussock grasslands, herbfields, fern, shrubland and low forest. 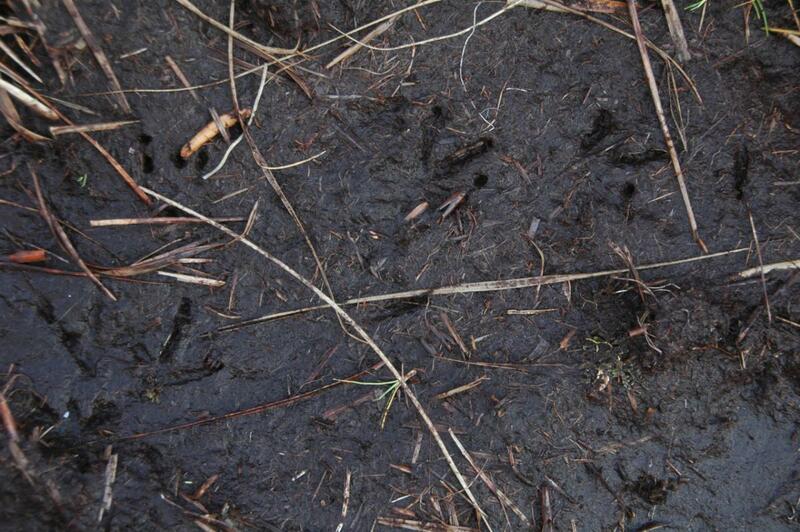 Absent from main Auckland Island, which has feral pigs and cats present. 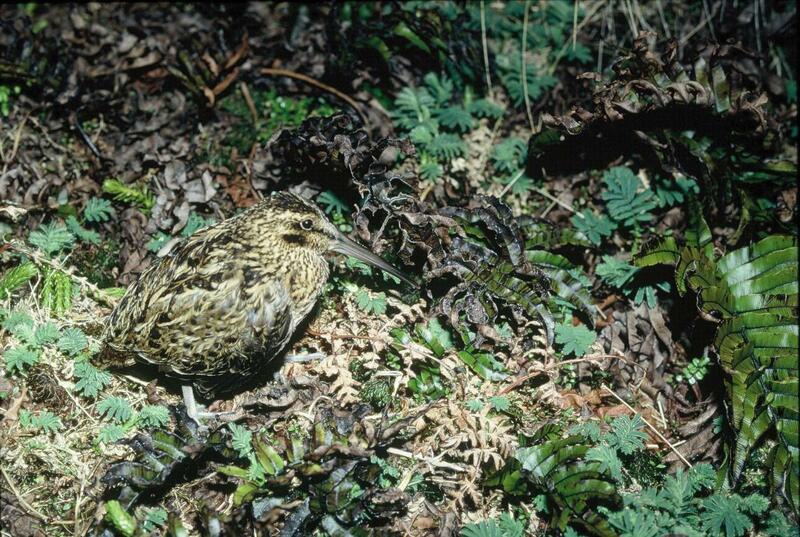 Snipe or sign of their presence have been recorded on two other small islands in the Auckland Islands (Dundas and Figure-of-Eight Islands), but these are unlikely to sustain permanent populations. 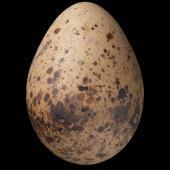 Few estimates are available. 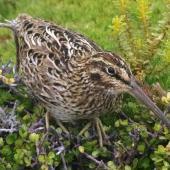 Encounter rates on Adams Island (mean 0.61 birds per hour) were more than three times higher than in similar habitat on Antipodes Island (0.18 birds per hour), where snipe coexist with mice. 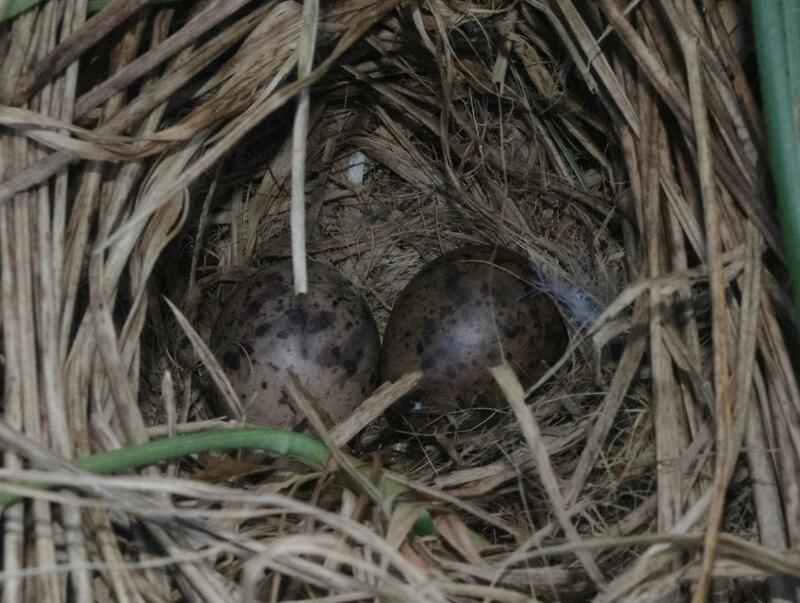 Adams Island (10,119 ha) is likely to hold tens of thousands of birds, based on recorded densities of at least 4 birds per hectare on other islands. 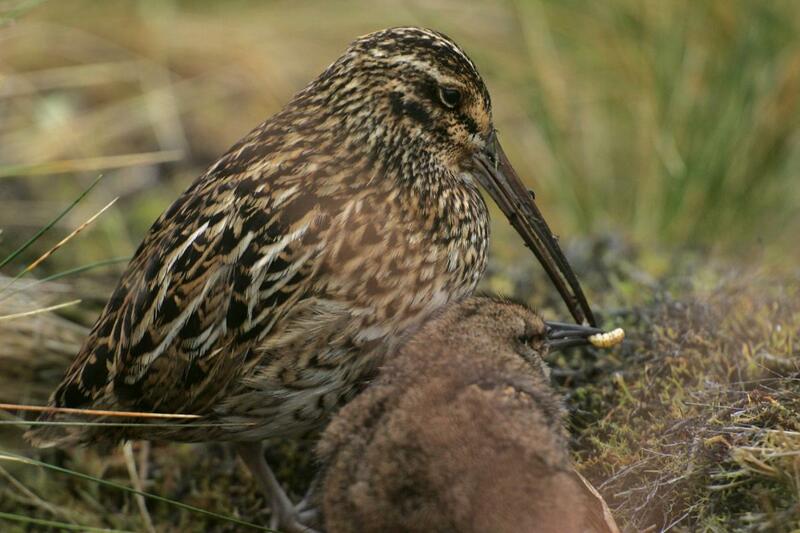 About 30 snipe were estimated to be present on Campbell Island in 2006, but this colonising population has spread to occupy a much greater area since, and the population's threat ranking was 'down-graded' from Nationally Critical to Nationally Vulnerable in 2017. 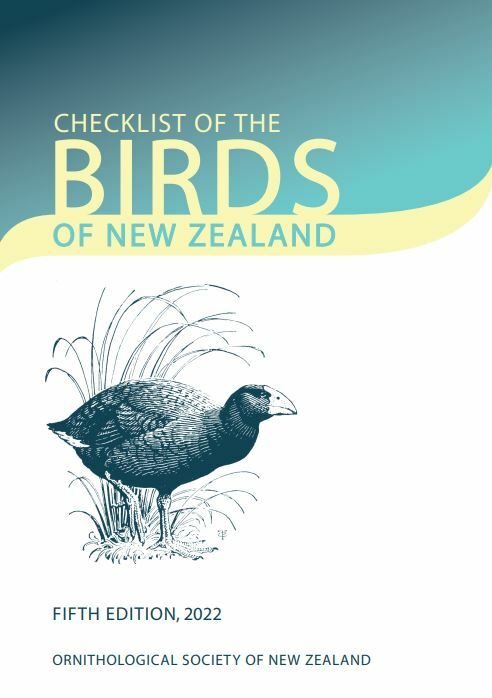 The total area occupied by the species is about 11,540 ha in the Auckland Islands, 2060 ha in the Antipodes Islands, and about 5000 ha on Campbell Island (with a total of 11,290 ha available there to colonise). 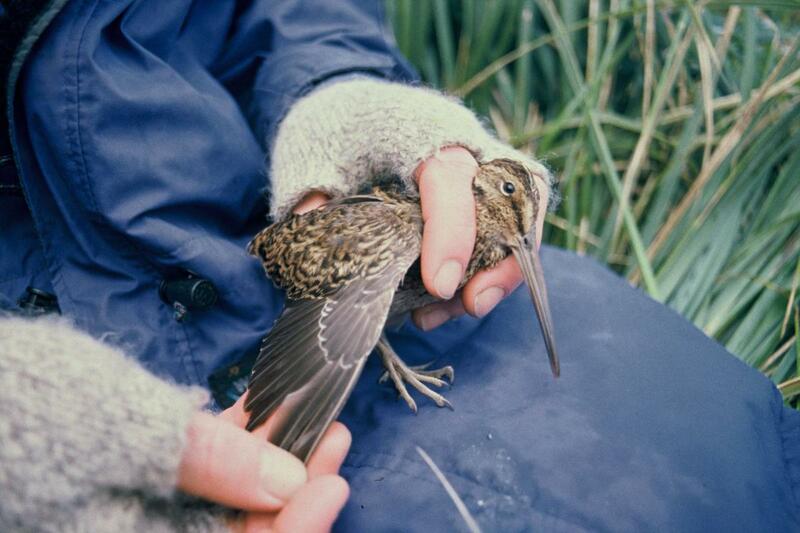 Subantarctic snipe thrive in the absence of introduced mammals, and are scarce or absent in their presence. 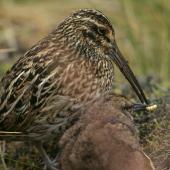 Norway rats eliminated snipe from Campbell Island, and cats and pigs extirpated snipe from Auckland Island. 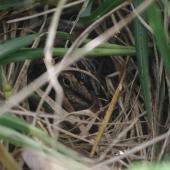 Snipe were scarce or absent in the former presence of cattle, rabbits and mice on Enderby Island, and rabbits on Rose Island. 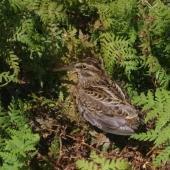 Following pest mammal eradications on three of these islands, snipe are now abundant on Enderby and Rose Islands, and have recolonised Campbell Island from Jacquemart Island. 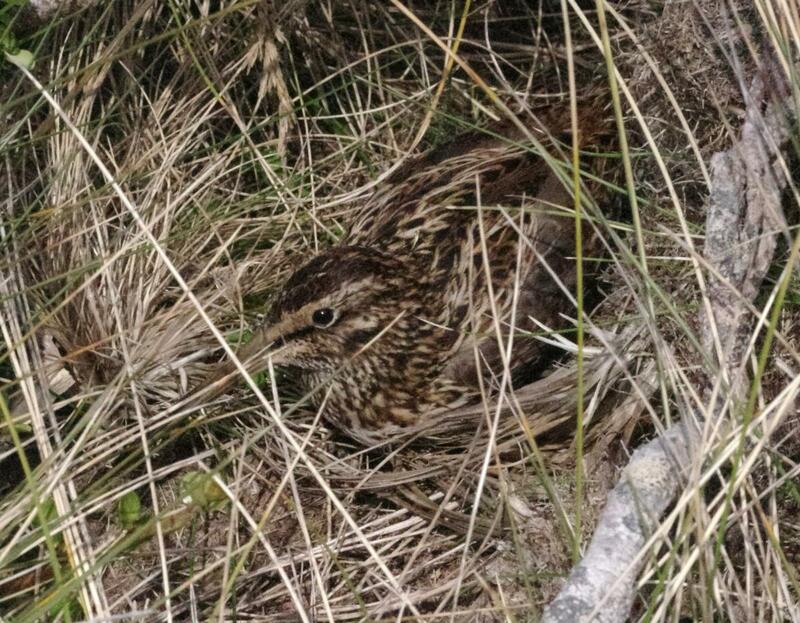 Eradication of pigs and cats on Auckland Island would be of great benefit to snipe, as would eradication of mice from Antipodes and Auckland Islands. 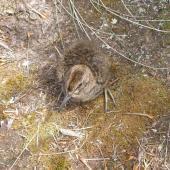 Mouse eradication was attempted on Antipodes Island in 2016. Poorly known. 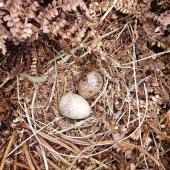 All nests found contained 1 or 2 eggs. 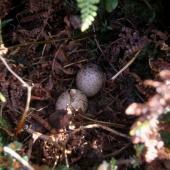 The two nests with single eggs (Auckland Islands) were not visited subsequently to determine if a second egg was laid. 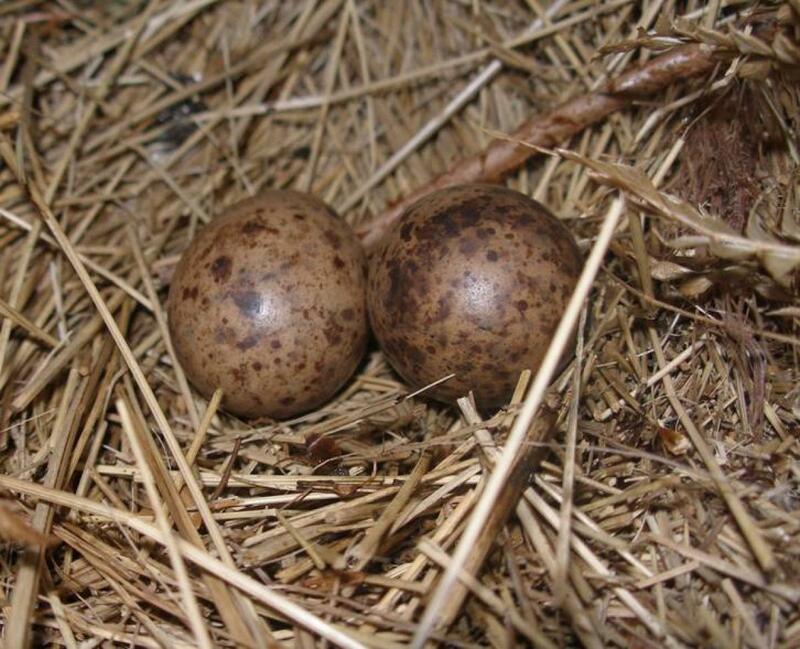 Incubation is shared, and it is likely that each adult cares for one chick independent of its mate, as almost all family groups encountered were a single adult with a single chick. 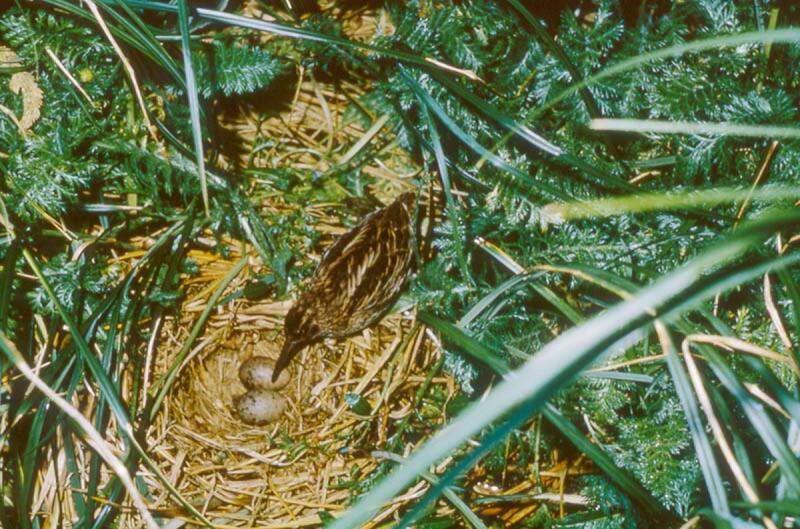 Subantarctic snipe are typically encountered as single birds, courting pairs, or single adults caring for a single dependent chick. 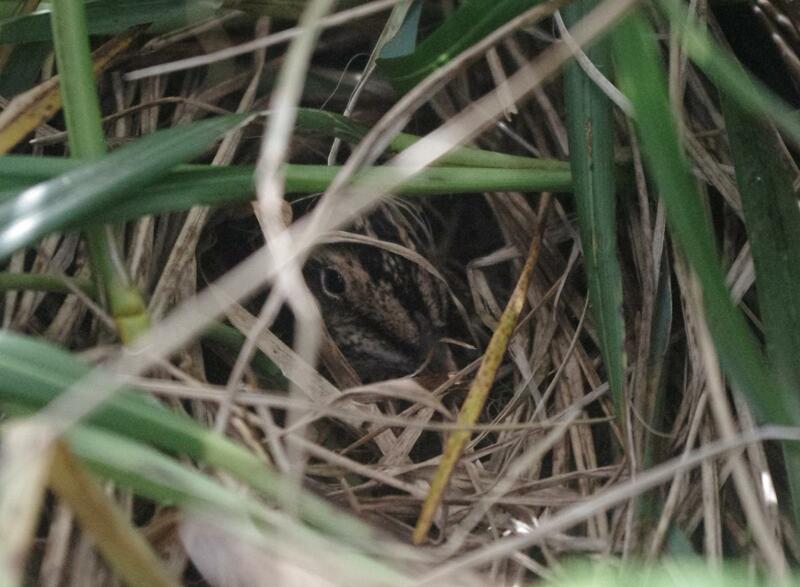 They keep to dense vegetation during daylight, sometimes roosting in sunny spots on warm days. 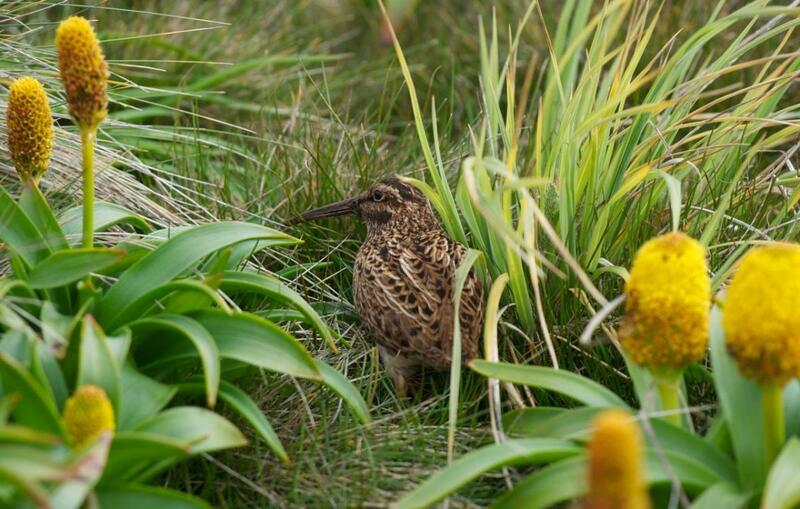 Subantarctic snipe are most often seen when disturbed at close range, when they rise a few metres on whirring wings and fly up to 50 metres before pitching down into cover. 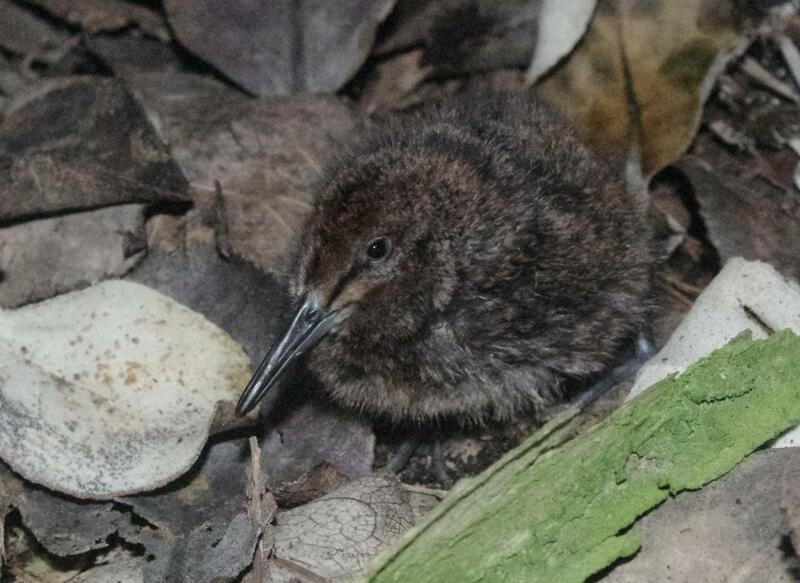 At night all populations are more vocal, and all have been heard performing the hakawai aerial display (a mix of vocal and non-vocal sounds). 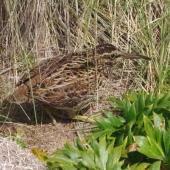 The non-vocal component is a roar made by vibrating tail feathers as the birds dive at speed. 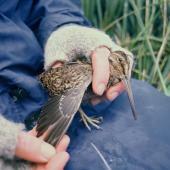 Damage caused to tail feathers by the display is readily seen on birds in the hand. 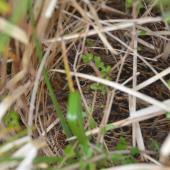 Soil-dwelling invertebrates obtained by probing. Barker, D.; Carroll, J.; Edmonds, H.; Fraser, J.; Miskelly, C.M. 2005. 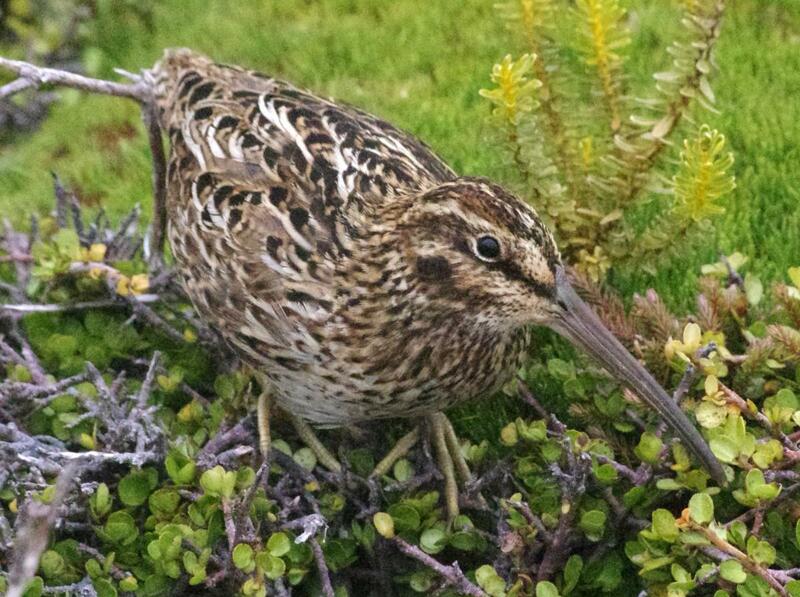 Discovery of a previously unknown Coenocorypha snipe in the Campbell Island group, New Zealand subantarctic. Notornis 52: 143-149. Miskelly, C.M. 2000. 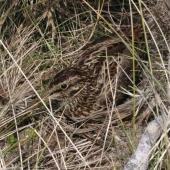 Historical records of snipe from Campbell Island, New Zealand. Notornis 47: 131-140. Miskelly, C.M. 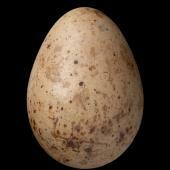 ; Baker, A.J. 2010. 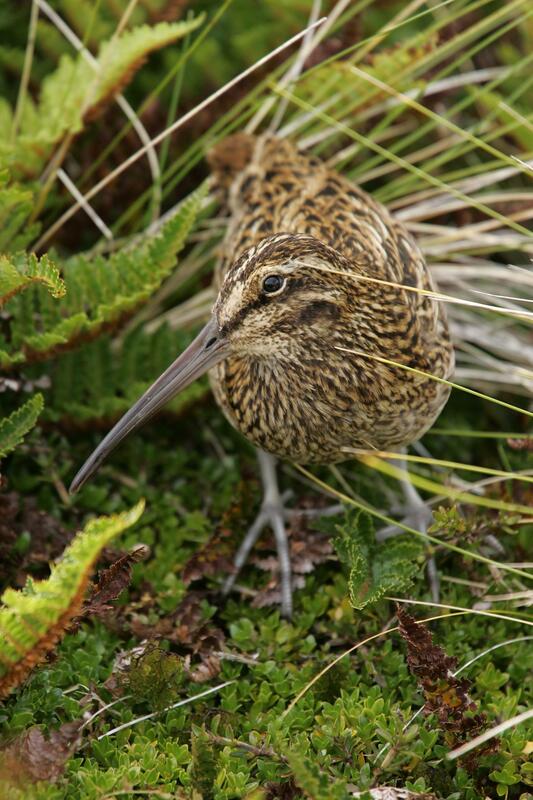 Description of a new subspecies of Coenocorypha snipe from subantarctic Campbell Island, New Zealand. Notornis 56: 113-123. Miskelly, C.M. 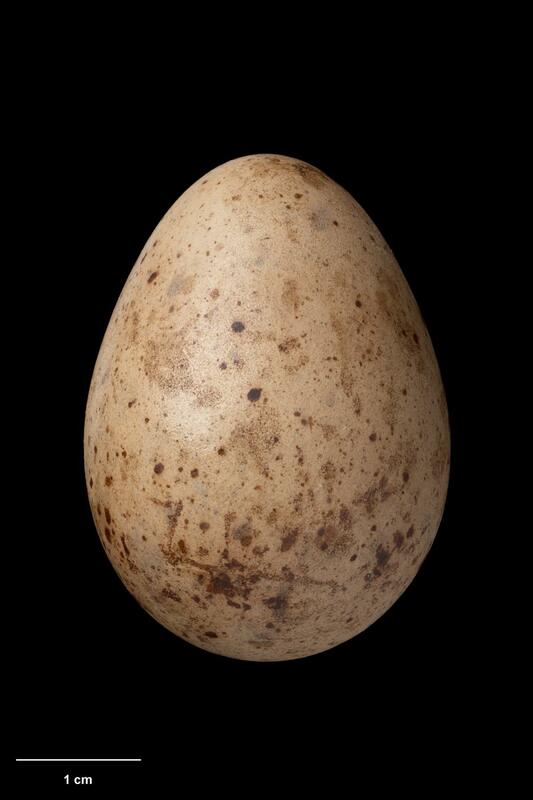 ; Bell, E.A. ; Elliott, G.P. 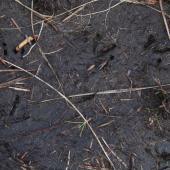 ; Walker, K.J. 2006. 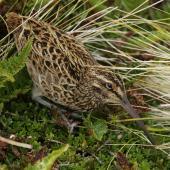 ‘Hakawai’ aerial displaying by three populations of subantarctic snipe (genus Coenocorypha). Notornis 53: 375-381. Miskelly, C.M. 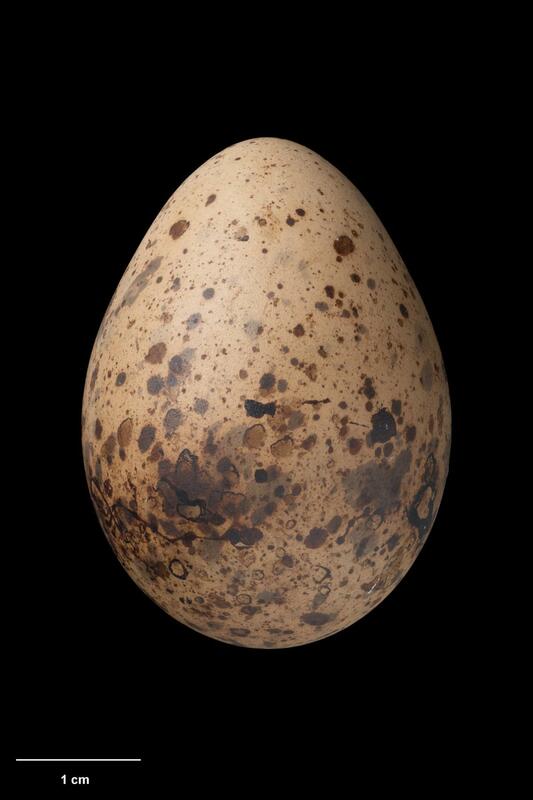 ; Fraser, J.R. 2006. 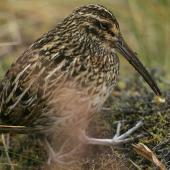 Campbell Island snipe (Coenocorypha undescribed sp.) 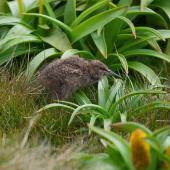 recolonise subantarctic Campbell Island following rat eradication. Notornis 53: 353-359. 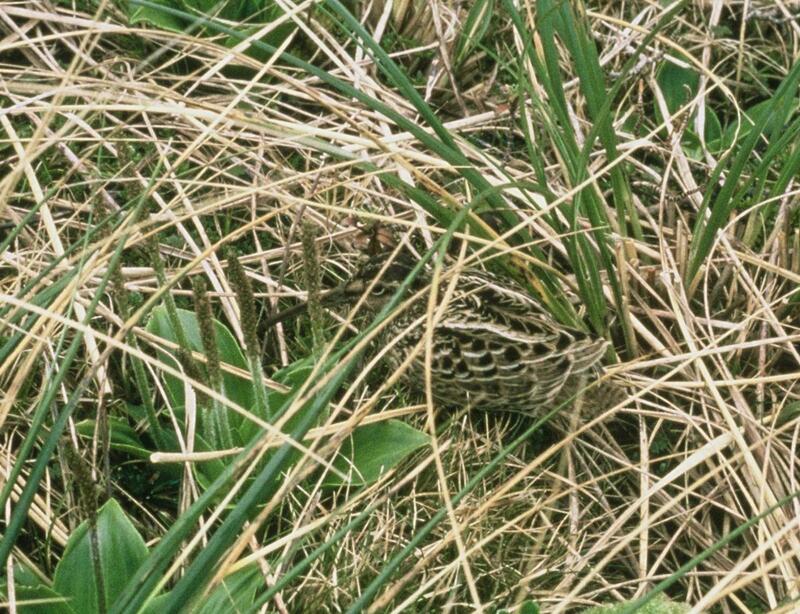 A well-camouflaged snipe most often found among dense vegetation on the Auckland Islands (including Enderby Island), Antipodes Islands and Campbell Island.